Love is not just an ideal. Love is action. Love looks like something. Because if you don't stop, who will? 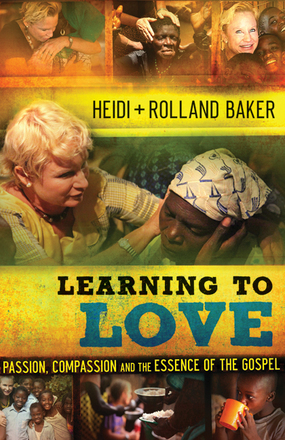 Learning to Love is a book about some of the work of the Iris Ministry and how it has reached out through missionaries, volunteers, and the funding of many. This group seeks to win to Christ people in the remote areas of Mozambique, Africa. There are episodes throughout the ministry of healing the deaf and the impact this has had on the people. There are accounts of feeding many people and how there was always enough when supplies were thought to be low. One of the most wonderful things the Iris Ministry has done and is doing is drilling wells in the villages so the people do not have to walk so far for it. Can we even imagine not having access to water? Through each chapter of Learning to Love, I found myself counting my blessings almost not being able to comprehend the hardships these people endure. Both Heidi and Rowland give accounts of their work throughout the book. This book follows them through many provinces and shows how they start with ministry to the poor. Learning to Love is a very good book on mission work and I hope to use it for lessons for our women's mission group in my church. I love the core value of this ministry: "Going lower still," and know that God will give the victory. A well written, easy to read book.